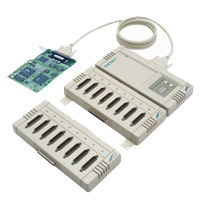 The intelligent C320Turbo serial boards are expandable and flexible COM/TTY solutions for RS-232 applications that require connecting up to 128 serial devices to one computer. The C320Turbo’s on-board CPU and large dual-port memory take the load off host systems whose performance and scalability are critical for large-scale systems. In addition to providing COM port drivers for all major operating systems, Moxa also supports the following dedicated operating systems for customers’ special needs. The C320Turbo boards have a state-of-the-art onboard CPU thatdramatically reduces the host computer’s loading by up to 68%* forapplications that use 32 ports per board.